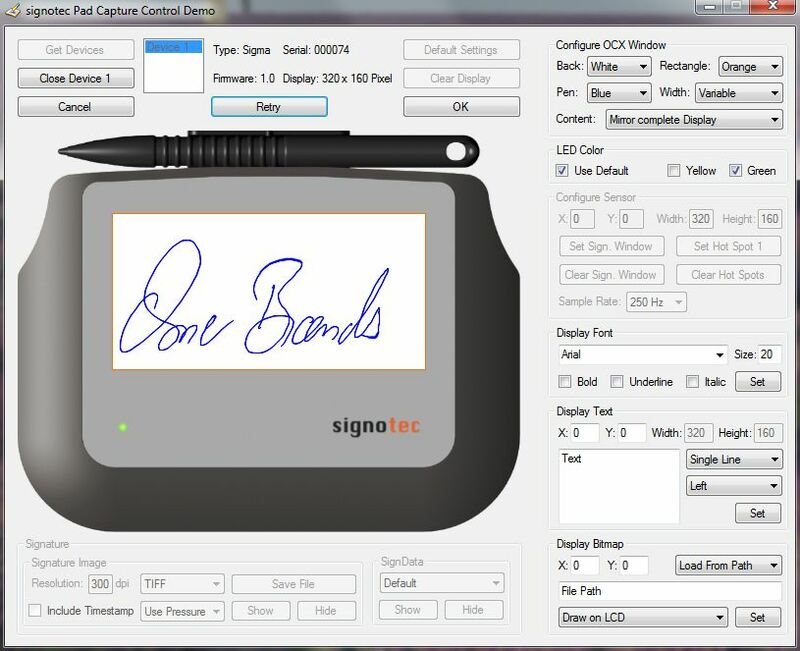 Free software and driver for the LCD Signature Pad Signotec Sigma and Omega. With the API, you can fully interact with the pad. Display photos, graphics and text. Create hotspots (buttons), manage the memory inside the Omega-Pad, configure slideshows as well as RSA-signing functionality in the pad. The signature can be captured in a variety of graphics formats. Save the signature with or without contents of the LCD. Please refer to the documentation for details at the download link below. Software for signing PDF documents is available separately. The signoPAD API is available for 32-bit and 64-bit:The 32-bit version contains components and applications that were compiled for the x86 platform only. But the setup and all the components and applications can also be used on 32-bit and 64-bit versions of Windows. The 64-bit version contains components and applications that were compiled for the x64 platform only. Some demo applications are only compiled for 32-bit and are not included in this release. Both the setup and all the components and applications can only be used on 64-bit versions of Windows. 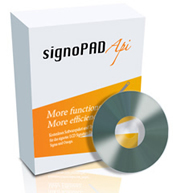 The software "signoPAD-API" is only for the Signotec-Pads "Sigma" and Omega". Pads from other manufacturers are not supported. Screenshot signotec Pad Capture Control (ActiveX). The software "signoPAD-API" is only for the signotec-Pads "Sigma" and "Omega". Pads from other manufacturers are not supported with this.